May is looking to be a busy month! On May 6th we will be celebrating Sunday Streets with the rest of Valencia Street, which means no cars and plenty of room for exploring the neighborhood on and off the sidewalk! 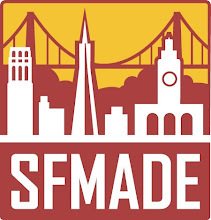 If you shop at DEMA on May 12th we will give 10% of all proceeds to benefit SFMade, one of our favorite causes. A perfect reason to treat yourself to something new and do some good for the community at the same time! And, last but not least, on May 19th we will be hosting a sidewalk sale featuring vintage clothing from the Golden Collective in honor of San Francisco Small Business Week as well as offering 15% off the entire shop. We hope to see you at these fantastic May events, it's the perfect way to celebrate Spring and support local San Francisco purveyors of awesomeness! Also, if your birthday is in May don't forget that you can save 20% off any one item (even sale!) just by mentioning it! P.S. 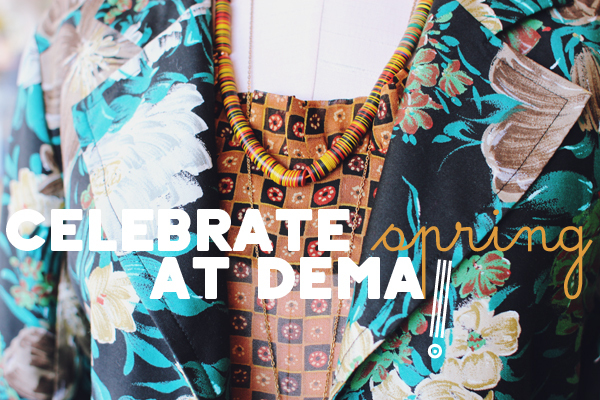 You can sign up for the DEMA mailing list here to find out about events and discounts!